We’ve all been anxiously awaiting news from Marriott and there have been rumours aplenty swirling around. Now that the press conference has concluded here’s what you need to know. As everyone has expected, the SPG program will be fully integrated into the Marriott program and while there are many SPG loyalists that wish this wasn’t true, we all knew it was inevitable in our heart of hearts. From today’s announcement, we know that the SPG website will no longer function as of August 1, 2018, and the SPG Program will cease to exist on December 31, 2018. If you currently have SPG points, you will still be able to transfer them at the standard 1:3 ratio to Marriott points. If you still have SPG points when the program ceases to exist, it is expected that they will automatically be converted to Marriott points at the same 1:3 ratio. While we have heard that there will be spend requirements at every level, this rumour has turned out to be FALSE. Rather, only the Ambassador level will have a spend requirement, which is $20,000 per qualification year, which is a LOT of money. The most significant change here is the devaluation of the Marriott Gold status stripping away free breakfast and lounge access. Unfortunately, Marriott chose to offer their Gold members the benefits from the less rewarding SPG Gold status which does not offer free breakfast and lounge access. The Marriott Platinum Suite Night Awards benefit is a welcome carryover from SPG Platinum status. A guaranteed suite is always good, but I hope the issuance of Suite Night Awards does not affect the chances for a suite upgrade when you are not using the award. There have been many Marriott and SPG Lifetime Status Members that have been concerned about what happens to their benefits. Current Lifetime Members will have a positive result, especially if you are Lifetime Platinum as you will be grandfathered into Lifetime Platinum Elite Status. If you aren’t Lifetime Status with Marriott by December 31, 2018, you have to earn your lifetime status in a different way. Previously you earned lifetime status by meeting both night and points earned requirements. With the new program, you will now in need a minimum number of nights (less than before) but you will also have to maintain that status for a minimum number of years. Unfortuantely, even at the highest Lifetime Platinum Elite Level, you are still two steps from the top of the pyramid, which is certainly disappointing. 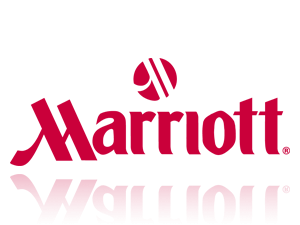 If you are close to acheiving lifetime status with Marriott, you have until the end of the year to meet your qualification. First of all, there will be re-categorization of hotels based on a new redemption chart starting August 2018. There will be 7 hotel categories with a standard redemption ranging between 7,500 and 60,000. There will also be a Category 8 at 85,000 points being introduced later in 2019. Award redemptions have been rumoured to move towards dynamic pricing, meaning that the number of points required for a stay will vary depending on demand and seasonality. It turns out that this rumour is TRUE. 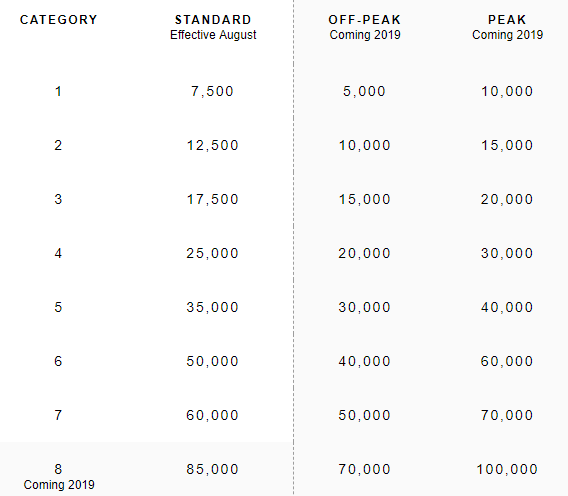 In 2019 there will be an introduction of seasonal pricing with off-peak rates priced ~20% lower than standard rates and peak rates priced ~20% higher. This is very bad news for the consumer as it means that you cannot expect the price for your hotel room to be one flat amount like we see now. Outside of not having rooms available for redemption during busy times, hotels do not have a mechanism to reflect demand. Currently, a Marriott Category 5 property can be redeemed for 25,000 points regardless if it’s low, high or shoulder season for the property. With dynamic pricing, this changes as Marriott and each individual property will have much more fine control of pricing. Dynamic pricing will come into effect as of January 1, 2019, so if you have any plan to travel, I would encourage you to make those bookings now. Remember, Marriott does not require you to have all the points in your account to make a future booking so there is no harm in making those speculative bookings. During the live event, Canada was announced as one of the countries to receive a co-branded credit card enhancement so we can only hope for the best here. However, I don’t believe it will be better than what we currently have with the Amex SPG card. I could totally foresee the “enhancement” of the Amex SPG card to offer 2 points (Marriott) per dollar spent which is double the current 1 point (SPG) per dollar earn rate. The reality is the value of 2 Marriott points is (was) equivalent to 2/3 of a SPG point and is not the definition of an enhancement. This was exactly how Marriott announced the refresh of the US Chase Marriott Visa and US Amex SPG today at the live event. The American Express SPG Personal and SPG Business cards will no longer be available effective January 1, 2019 (if not earlier). If you currently have these cards, you will be sent new Marriott branded cards. It is unclear what the new Marriott cards will feature as a sign-up bonus, but we would expect that the signup bonus will not be as lucrative as the 20,000 SPG point sign up bonuses that we see with the SPG Personal and SPG Business Cards. If you were ever on the fence about these cards, we would encourage you to get off the fence and sign up for these cards immediately before you lose the opportunity. Some great news coming out of the annoucement today is that Marriott will not only retain but gain additional airline transfer partners. With today’s annoucement, that means that there will be 40 airline transfer partners! 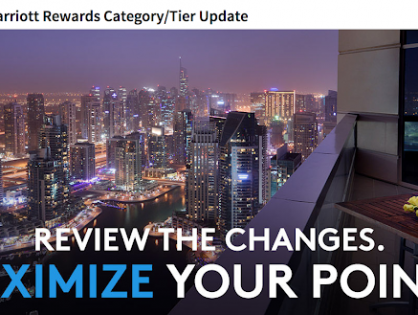 You can transfer between 3,000 and 240,000 points per day to the 40 programs and the 25% bonus that SPG was well known for when you transfer in 20,000 SPG batches remains in place, only this time it is with Marriott points. Transfer 60,000 Marriott points, and Marriott will top up your balance by an additional 15,000 points. This 75,000 Marriott point transfer will result in 25,000 airline points. To make this more clear, with the current SPG program, with Aeroplan, you can transfer on a 1:1 basis. If you transfer 20,000 SPG to Aeroplan, SPG will throw in another 5,000 SPG points, meaning that you will receive 25,000 Aeroplan points. With the new program, and in keeping with the current 1 SPG to 3 Marriott points valuation, you can transfer 60,000 Marriott (same value as the 20,000 SPG) to Aeroplan and receive and additional 15,000 Marriott (same value as the previous 5,000 SPG bonus). This transfer will result in 25,000 Aeroplan Miles. In short, nothing chages, except now as a Marriott member, you can transfer directly from Marriott to airline programs, which is a HUGE positive. 5th Night Free remains – redeem for 4 award nights and get the 5th night free! The Marriott Travel Package will remain! After what has been a highly anticipated announcement from Marriott, we are left to individually decide whether this is a positive or negative change overall. For the most part, this seems to be a fairly positive change but as each individual has their own opinion, I’ll leave it to you to decide. Tell us in the comments below how you feel about these changes and how they might affect your willingness to stay with the program. I’m pretty sure the hotel transfer option will turn to Marriott. And if I had to guess, the ratio would be 1 MR Select (earned from Cobalt) to 1 Marriott point. If you plan on transferring your points to SPG, I would personally do so soon. Using the SPG cars in Canada allowed me to earn miles in so many different programs which allowed for some amazing redemptions….with this gone, what are the next best options in Canada? only being able to earn BA Avios and Aeroplan? Seems like the SPG airline transfer is staying but just converting to Marriott point ratios. 20,000 SPG : 25,000 airline miles will be 60,000 Marriott : 25,000 airline miles. I am thrilled about this. Hi Chao. Thank you for your write up. Question, could you elaborate on what you mean “Lifetime Platinum will no longer hold a top tier status forever.”. I’m going to hit lifetime platinum before Aug 1 so was wondering what this means to me? Are you inferring because platinum ambassador will be higher? I’m assuming I’m grandfathered under the old plan if I hit it before Aug 1 but I realize I would only get the lifetime platinum premier (I.e. 75) benefits if I’m understanding the Marriott website right. Curious on what your take on my situation is. Thanks!! Hi Jenna, I definitely misheard about the lifetime benefits and have edited the post. Current Lifetime Golds will be awarded Lifetime Platinum Elite and current Lifetime Platinums will be grandfathered into Lifetime Platinum Premier. Sorry for the scare! I’m wondering about the AMEX SPG. Will I still be able to get one after the Aug 1st « changes » ? And, if so, does that mean I can grab the bonus and get my (now) 60k Marriott points before 2019 ? The Amex SPG may be “enhanced” to Amex Marriott before Aug 1 changes. At PointsNerd we think dont think the bonus on the “enhanced” card will be higher than the 20,000 SPG / 60,000 Marriott points available now. Any comments today about whether the Marriott Nights & Flights packages stay? The word is the packages are staying with some redemption rates changing. Ugh – moved a whole bunch of points around to Marriott for the specific purpose of accessing a lounge and free breakfast for a long trip to London in Fall 2018. I presume that is gone – it’s getting harder to meeting program requirements through spend other than nights. Ugh! I would recommend making the reservation and emailing the hotel to request lounge access due to the lost benefits as a Marriott Gold. I have had luck with this approach before when I had a stay a week after my Marriott Gold status had expired! Thanks Chad – I called and they said if I made the reservation before Aug 1st they would honour the lounge access, breakfast etc. So n word yet on what the converted SPG AMEX will look like post combination? The US one is reducing earnings and adding a free night on renewal, but the reward structure for the Canadian one was already different. No word yet, my guess is free night and Gold status after X dollars of spend will stay. I will be following what the new sign up bonus on the US Amex card will be when announced in the coming weeks. 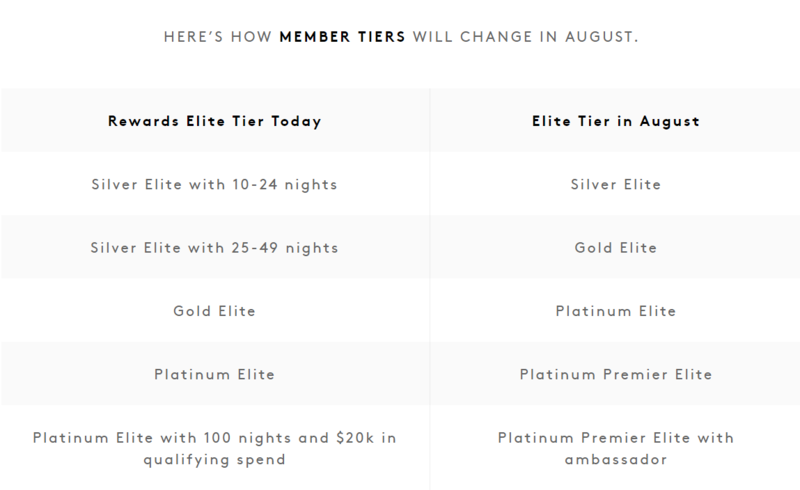 Post Aug 1, I’m confident the Amex Plat would offer the new Marriott Gold status (no breakfast) which has the same benefits as the current SPG Gold status (no breakfast). If above is true, in my mind, the hotel status benefits from Amex Plat remains unchanged. Amex Plat never advertised current Marriott Gold status (yes breakfast) in their benefits. The current Marriott Gold status via matching SPG Gold was definitely a generous offer from Marriott. I just tried to sign up for an SPG business card and the only ‘welcome’ bonus I can see is a $100 statement credit after the $1500 initial spend? Am I looking in the wrong place or have they removed the 20K SPG point bonus? You’re right! Personal and business cards no longer offer the SPG points bonus for sign up or a referral! Just $150 statement credit bonus and $25 referral! The party is over! This must have changed just in the last 2 days. 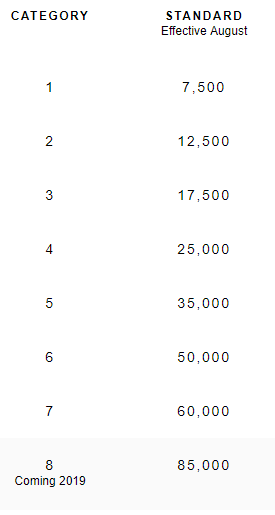 I think on momday is when i checked the spg personal and bussiness bonus via the pointsnerd referral link in other posts and they had the 20k points on the cards for minimum spend requirement. To be eligible for this referral bonus, your friend must apply for the Card by April 16th, 2018. We can still accept applications after this date but you may or may not be eligible for a bonus. See Referral Program Terms for details. Unfortunately on Apr 17 the 20K SPG point bonus was swapped for the statement credit. And now we’re in the purgatory stage before they announce a new bonus with the new Marriott Reward Points and swap out the statement credit. I took the advice from Chao and ‘got off the fence’ 🙂 applied for the Business SPG thru the link in this blog, last Friday, Apr13th. Yesterday I received the SPG package in the mail, activated right away. This morning, I called Amex SPG and the rep confirmed that I will get 20K bonus, Pheww!! Thanks, Chao for the reminder. I currently have LIfetime Gold with SPG and am about 30 nights away from Lifetime Platinum (I have the 10 years already). Will an SPG Lifetime Platinum get Lifetime Platinum Premier in the new program? Or is that just for existing Marriott Lifetime Platinum members? I’m wondering if it’s worth getting Lifetime Platinum with SPG first as that will be the only way to get Lifetime Platinum Premier. I have enough Marriott nights to qualify for Lifetime Platinum under the combined program. Can you you confirm that anyone who matched Marriott gold status through a credit card (SPG gold status from amex platinum cards) will not upgrade to Marriott Platinum on August 1st. I’ve read people saying both things so pretty unclear at the moment. I am curious about this as well. Any insight would be great. I can confirm that the SVP of Marriott Loyalty did mention that matched Marriott Golds will stay Marriott Golds on Aug 1 (not upgraded to Marriott Platinum). Maybe a dumb question but i’m accumulating regular MR points. (biz platinum etc.) should i be converting these points to SPG before the merger date or just hold in MR? If your plan is to transfer your MR to SPG anyways after the merger date Aug 1, I’d personally not wait and transfer soon like next month. I’m not optimistic the transfer ratio will be better than 2 MR : 1 SPG and we’re also not sure when the SPG transfer option will be pulled. At the same time, I wouldn’t transfer all my MR to SPG, holding onto some MR doesn’t hurt, you can always transfer them to Aeroplan. “I am sure I read somewhere that Marriott gold plus members who , even the Amex Plat ones, will be given Marriott Plat plus from Aug until Jan 2019 when the rest of update kicks in., then they will be turfed back to gold until they actually earn plat with stays. 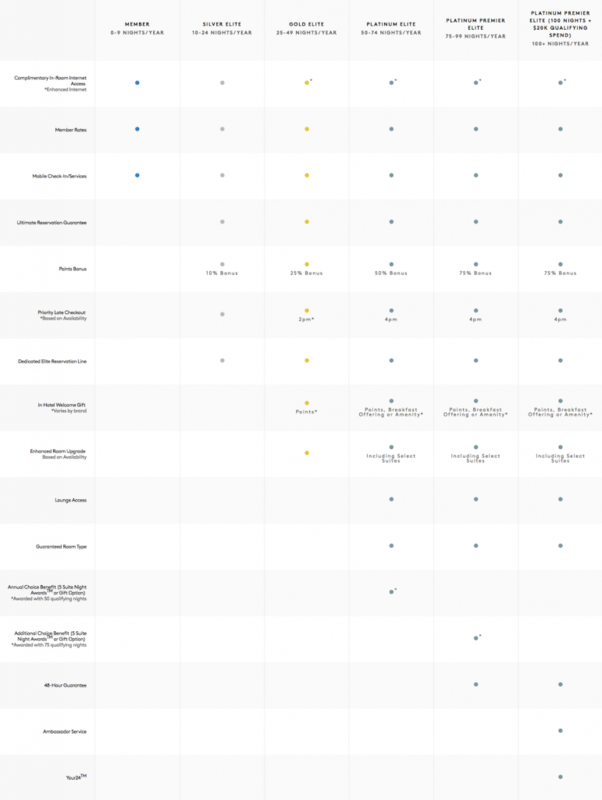 That was my initial take as Marriott’s chart showing the post-merger status has Marriott Gold –> Marriott Platinum with no exceptions noted. But then there’s also a chart showing SPG Gold –> Marriott Gold which is technically the original Gold status offered by Amex Plat. And the SVP of Marriott Loyalty did mention that matched Marriott Golds will stay Marriott Golds on Aug 1 (not upgraded to Marriott Platinum). Hopefully we’ll get an official statement clarifying this grey area as Marriott figure things out in more detail themselves. There’s probably a ton of members bombarding customer service on this question and receiving different answers. I have the SPG Amex and I am trying to hit the 30k spend my my anniversary date, in September, so I can achieve Gold Elite. Do you know if this will still happen, if I don’t make it by the August change over? Marriott has previously stated that Gold status from a credit card will not be matched on August 1st, 2018. I believe they were talking about the Gold status from the AMEX Platinum card which is a benefit of the card. The AMEX SPG card requires $30K spend in order to qualify for Gold so it is “earned” moreso than the Platinum card so you might be lucky enough to get matched. The best way to find out about this is to call Marriott and ask the question. Sorry I don’t have anything more definitive. I have Marriott gold elite status via spg gold from my amex credit card. I rang the Marriott call centre in Sydney to ask what status I would be on after 1August. The agent there said I would be on platinum status. He confirmed to me that I would have lounge access and breakfast for September bookings I have at marriotts. Just wondering has any one in the same position as me been told they won’t have lounge access and breakfast after 1August. I hope the agent is right but I wouldnt count on their word. Definitely a grey area that only an official Marriott statement will clarify on or before Aug 1. I have a 7 night travel package that I’m trying to use. I booked my flights based on availability, but it looks like you still can’t access the starwood properties with your certificates. Has anyone had any success?? You should be able to call into Marriott to use your certificate for previously branded SPG properties. They will have to transfer you to the old SPG reps who can complete the transaction (I know … pain in the …) but you should be able to do it. Alternatively, December 11th, the full program is supposed to be integrated online so you should be able to use your certificate on all properties at that time, though based on Marriott’s track record of implementing IT solutions, it may be a bit hairy around December 11th. Thanks Brian- I’ll try calling today. I called last week and was told that it wasn’t possible until the new year.